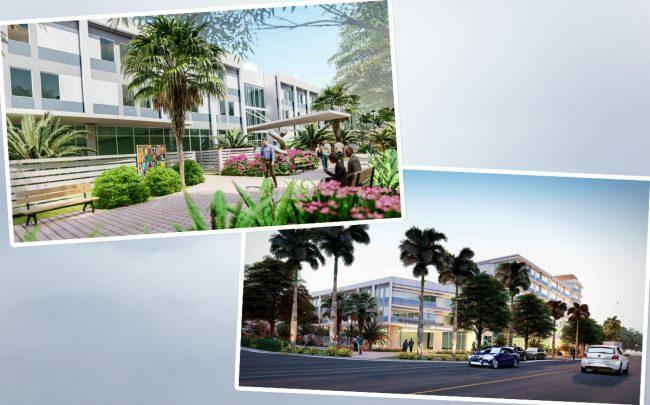 The North Miami City Council gave the green light to Residences at NoMi, a planned $50 million mixed-use senior apartment complex. The 175-unit project, developed by Trise Development, has been in the works for three years. It has been delayed due to neighborhood objections to the original plan which many residents considered too massive. Residences at NoMi, at 950 Northeast 124th Street in North Miami, will consist of three apartment buildings. They will include a seven-story, 96-unit building with 8,925 square feet of retail on the ground floor; a three-story, 38-unit building with 12,000 square feet of professional office space, mostly medical; and a six-story, 41-unit building above part of the 220-space parking garage. The project will be built on a 1.95-acre site. The complex will have affordable, workforce and market rate units. The three apartment buildings will be connected by corridors. The garage will have a green roof with recreational amenities, including a pool, playground, gym and yoga studio. The size of the project has been reduced considerably since it was first conceived. In this latest version, a 70-bed assisted living facility has been scrapped. The tallest part of the development, an apartment building facing 124th Street, was reduced from 10 stories to seven stories. The height of the building along 123rd Street went down from six stories to three. A planned ground-floor 3,600-square-foot event space will be replaced by 1,000 square feet of community space on every floor, which will feature card and computer rooms and laundry facilities. “We dedicate almost one-third of the site to open space, including pedestrian promenades, recreation areas and an art and sculpture courtyard along 123rd Street,” said Markus Frankel, the project’s architect. Developer Moe Yaghoubi said that he expects to break ground on the project by the end of the year or the beginning of 2020. But he said that he didn’t yet know how the development would be financed. “We expect to get bank financing backed by governmental agencies. But the financing environment has changed a lot since we started working on the project,” he said. “Senior housing is in demand, especially in North Miami, but the federal tax incentives are worth less because the formula has changed. Because banks can claim less of a paper loss, there is less incentive” for them to participate in affordable housing developments.